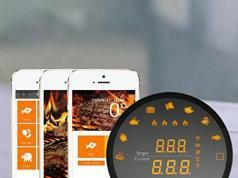 Here is a Wireless Meat Thermometer that lets you cook your meat the right way every time. 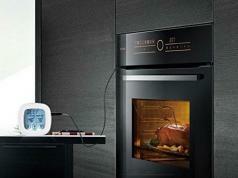 Whether you want your meat rare or well done, this device has you covered. It works for beef, lamp, veal, pork, turkey, chicken, fish, and other types of meals. The device has a stainless steel probe and a heat resistant wire. It has a working range of up to 20 meters. 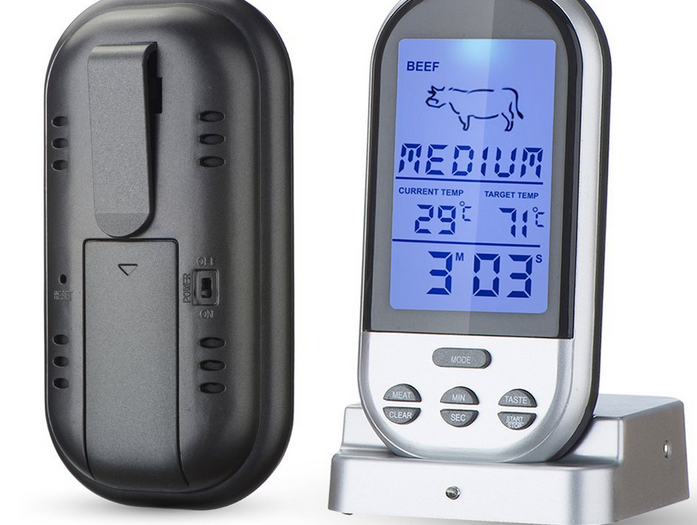 This wireless meat thermometer alerts you when your meat has reached the right temperature. Sets you back just under $90.